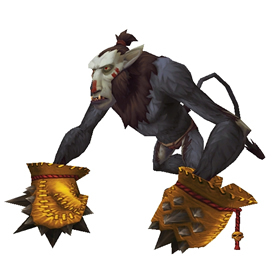 To obtain this pet players will need to purchase Kukuru's Cache Key from the NPC Master Kukuru. Each key costs 500 Timeless Coins. 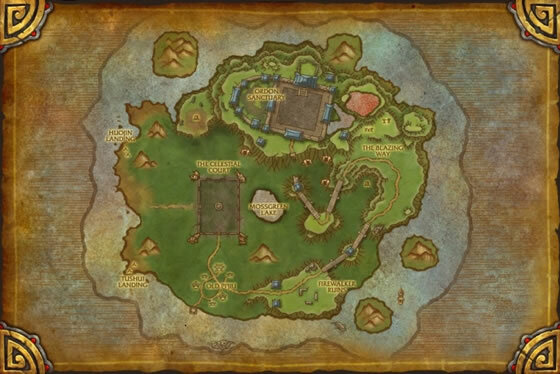 The key will open any of the chests found in Master Kukuru's cave. Deals 591 Humanoid damage and has a 25% chance to stun the target. I just got bonkers first key. Holy cow! Anyone who had more bad luck then me? Needed 318 chests for him, but got my S/S breed and now I'm happy. As Esmerelda1 says, this is no longer BoP! Playing with husband and friend tonight, get bonkers on 4th key. Friend smugly says 'I have three'. Husband jealous because of 4th key scenario. I have a feeling 4th key is significantly lucky...so, it's possible! Got this on the AH today, it's no longer BOP! With Jab/Dodge/Tornado Punch this pet is amazing. Great in the Celestial Tourney, great for boosting and I've ripped apart entire teams in PvP using just this guy. With the dodge (that usually stops 2 rounds) and the chance to stun from Tornado Punch, this pet can be very hard to kill! Random chance is random, spent about 80 keys and got a H/P and a P/P. 4th key.. I couldnt beleive it!!!! LOL i got my pet spend 12 keys!!! It took me 46 keys. In reading these comments, I got off really lucky! Like others have said - there's no rhyme or reason. I just opened chests all right next to one another. Good luck! 130 keys... 2 P/S on 63 & 67... S/S on 129... think I got off extremely lucky after reading all the comments. Good Luck to all those trying to get one of these little guys, I wish you all get it on the second key, if not the first! Finally picked one up this morning, (P/P, but I could care less). Spent probably close to 80,000 coins to get it. Just be persistant, there seems to be no real pattern as far as chests go, but I will say that he dropped from a small chest. Good luck! I sincerely hate this monkey... I've opened so many chests to no avail, not to mention that every time I decide to go to the Isle, it seems to be controlled mostly by opposing faction, which turns into a gank fest while trying to farm coins. I'd be happy with ANY breed, at least have 1 just for collections sake.. ugh. After a while longer of farming them (And getting ganked), apparently my complaining about it worked (i wish) and one dropped, the S/S one. Some young and rambunctious hozen are trained from an early age to use boxing gloves so they don't accidentally kill their tribe members, and more importantly, to keep them from picking their noses.